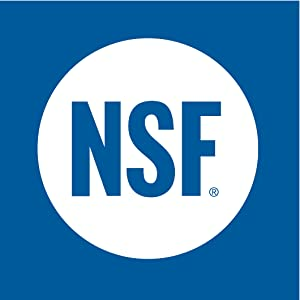 Rest easy knowing these shelves are certified by the NSF to NSF/ANSI Standard 2 - Food Equipment, for use in dry environments. 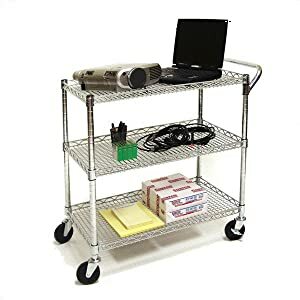 Designed with multipurpose storage in mind, these shelves are ideal for professional and personal scenarios. Units are constructed of steel wire for reliable, high-capacity storage. 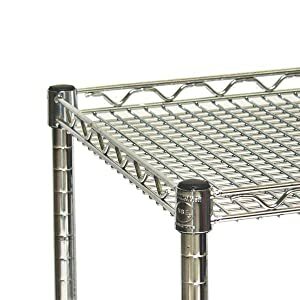 Install the included leveling feet for heavy storage – up to 500 lbs. total. 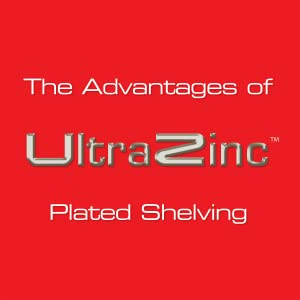 Easy to clean and corrosion resistant, UltraZinc plating ensures your shelving systems will last. Zinc plate offers the same corrosion resistance with a similar brightness to chrome. 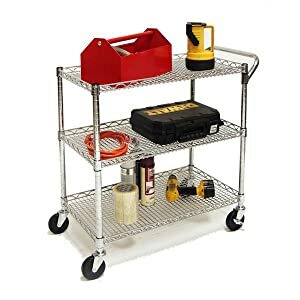 Hold up to 500-pounds with this heavy-duty cart. 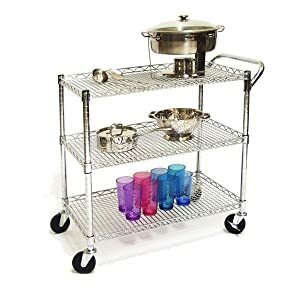 No tools are required to assemble this cart. All you need to do is put on the slip sleeves onto the poles and slide the shelves into place. 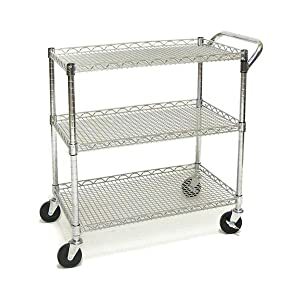 The heavy duty wheels allow the cart to roll smoothly. 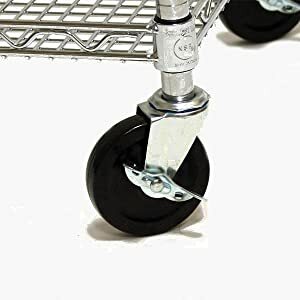 The locks on the wheels hold the cart securely when you need them to.